Clients love apps. They know what an app is and they love the idea of having an app sitting next to the Facebooks, Netflixes, and Candy Crushes of the world. But apps are not the future. What do you mean apps aren’t the future? Aren’t people making tons of money in the app store and developers are flocking to learn how to develop them? Um, that was like five years ago. What we’ve learned about apps is this: they are expensive to build and they don’t give you access to EVERYONE. How many people have iPhones? What about Android phones? 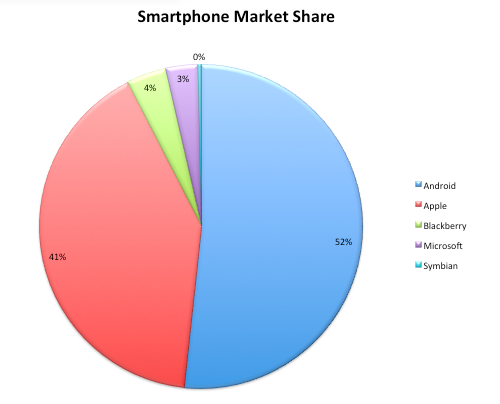 Will Windows Phones become more popular? These days, if you really want to reach as many people as possible, you have to at least build an iOS app and an Android app. That means you have to create two separate apps and maintain them as such. Want to change one little thing on your app? You have to go change it in both places. That’s double the work. 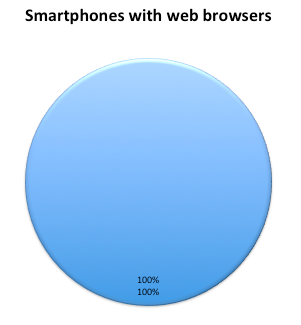 There’s something that all smartphones—regardless of which platform they’re running—have in common: they all have browsers. Sure, they’re different kinds and they all work slightly differently, but nowhere near as differently as the operating systems behind them. You build a site in HTML and all the browsers can read it. You may have to do a little tweaking if you use some advanced properties (like HTML5 and CSS3), but for the most part you get your website into everyone’s hands (providing you’re giving people a good reason to visit). Everyone already has a website. Clients think “website” and they look at you the way a toddler looks at broccoli. This is why it’s so hard to sell clients on the future…because the future is something called a web app. A web app is a website that looks and feels like an app. Check out Facebook’s mobile site and LinkedIn’s mobile site for solid examples of websites that look and feel like apps. Unless you told them, most people can’t tell the difference between an app and a web app. Let’s tackle the first one, because it’s something that seems trivial but is kind of a big deal. One of the reasons people love their phones and their iPads is because they can fire them up instantaneously and get to what they want. So even if you have to tap on your browser, then on your bookmarks, and then on the site that you want, that’s already way too much work compared to waking your phone and tapping on an icon on your phone’s desktop. This is largely a problem of ingorance: people just don’t know that you can create icons on your desktop to just about anything, including websites. It’s something very simple that phone manufacturers just haven’t done a very good job in communicating to users. These fancy phones are incredibly powerful yet they don’t come with a manual. In the end, it’s pretty easy. The second issue of not needing to be connected to the Internet is slowly dying away. When was the last time you needed to look something up and your phone just couldn’t connect to the Internet? For me, it’s probably driving to Michigan. I can connect, but it’s painfully slow. Most of the time, most of us will always have access to the Internet on our phones. And besides, most of the apps people use on a frequent basis need the Internet anyway. Facebook is useless without a connection. Same with Pandora and YouTube. The only instance where an app is clearly superior to a web app is when we’re talking games, and that’s about it. If you want to see how web apps have been built to handle the “internet connection” problem, check out the Financial Times web app and it’s use of something called appcache. It gets a little technical, but what it does is download all the news stories for that day in a few seconds and then allows you to browse the entire site—even without a connection. 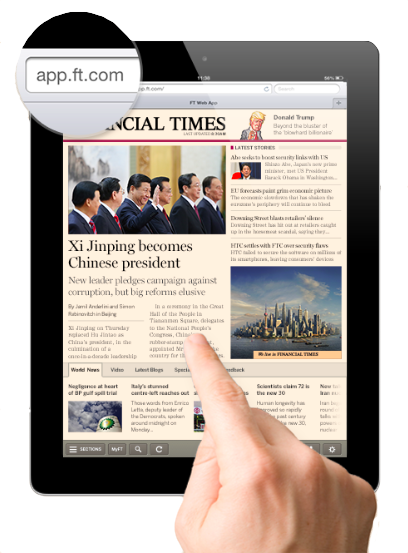 By the way, that Financial Times app is sick—it’s also responsive so it’s built to work brilliantly on tablets and phones. You can learn more about it here and here.